Does everyone agree that Harry Potter #5 is the most boring book ever? Home » Activities » Does everyone agree that Harry Potter #5 is the most boring book ever? My daughter and I have been reading the Harry Potter series for the past two years. We started when she was in second grade and she’s now in fourth. We slowed our pace for #4 and #5 to read one each year because everyone said they get “very dark,” and I didn’t want to get ahead of her ability to witness death and evil, albeit through print. In the end, though, these 850 page books, read aloud, take a good six months to read. 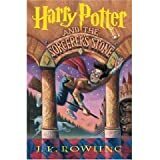 Harry Potter and the Sorcerer’s Stone , I thought, “Hey, this isn’t great literature, but it’s readable.” By #2, or Harry Potter and the Chamber of Secrets, I was starting to be amazed at J.K. Rowling’s ability to weave a set of characters and stories together over a series of books, each book setting the stage for future mysteries. It’s not Balzac, but it’s not bad. But, now, on #5, Harry Potter and the Order of the Phoenix, I’m going negative on old J.K. again, and so is my daughter. to some degree. In this book, almost nothing happens, and the end (spoiler alert?) is mostly a big shoot-em-up that doesn’t provide much that is new and intriguing. We’re down to the last 20 pages now, which we’ll probably read tonight, and we both feel like, “That’s it? Six months and this is where we are?” I have a feeling we’ll now pick up # 6 over the summer, but I think it will be with far less excitement of what we’re getting ourselves into. Still, as Tom Sawyer and Huck Finn were to previous generations, these are great books to introduce the love of reading to your kids. Do not miss out on the experience of sharing a long reading project with someone, especially a child. Thanks to J.K. Rowling for making that possible. Whether we’re bored or not at the end of our 200 nights reading this last book, I wouldn’t trade it for the world. It will never come again, or not, at least, until my five year old starts to read.